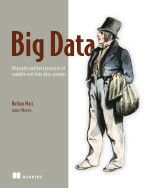 R in Action, Second Edition, contains more than 200 pages of new material. And it is nicely structured to meet the needs of R beginners, as well as those of us who have some experience and want to gain more. Part 3, “Intermediate Methods,” moves the reader well beyond “describing the relationship between two variables.” It introduces regression, analysis of variance, power analysis, intermediate graphs, and resampling statistics and bootstrapping. Part 4 presents “Advanced Methods,” including generalized linear models, principal components and factor analysis, time series, cluster analysis, classification, and advanced methods for missing data. Part 5, meanwhile, offers how-to information for “Expanding Your Skills.” The topics include: advanced graphics with ggplot2, advanced programming, creating a package, creating dynamic reports, and developing advanced graphics with the lattice program. 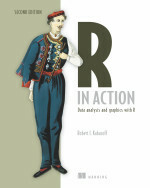 A key strength of R in Action, Second Edition is Kabacoff’s use of generally short code examples to illustrate many of the ways that data can be entered, manipulated, analyzed and displayed in graphical form. The first thing I did, however, was start at the very back of the book, Appendix G, and upgrade my existing version of R to 3.2.1, “World-Famous Astronaut.” The upgrade instructions could have been a little bit clearer, but after hitting a couple of unmentioned prompts and changing a couple of wrong choices, the process turned out to be quick and smooth. 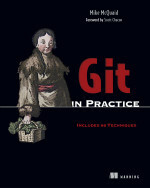 Then I started reading chapters and keying in some of the code examples. I had not used R much recently, so it was fun again to enter some commands and numbers and have nicely formatted graphs suddenly pop open on the screen. Even better, it is nice to have a LOT of new things to learn, with a well-written, well-illustrated guidebook in hand.